Teachers are tasked with the huge privilege and responsibility to shape their students into lifelong learners, giving them the skills and curiosity to continue learning on their own initiative beyond their formal education. Howell (2012, pp. 39-43) outlines the significance of lifelong learning as recognised in various policy documents, notably the Melbourne Declaration on Educational Goals for Young Australians (2008), which acknowledges the speed at which technology is developing and the necessity for young people to be ‘highly skilled’ in its use. Such competence is essential for the reasons outlined in my previous post on the ‘digital divide’, notably to maximise students’ employability and aptitude for student-centred tertiary study, in addition to shaping the ‘active and informed citizens’ envisaged by the declaration. The digital age has certainly facilitated independent and lifelong learning, with constant connectivity and information on demand meaning that any information is available at any time. Whereas twenty years ago a large portion of the population was limited to physical books and television in obtaining information, this is no longer the case for the vast majority of the Australian population. The internet equally facilitates online communication with co-collaborators domestically and internationally for only the minimal cost of the connection, lending itself to collaborative learning. Evidently, the technology will continue to evolve and increase the already seemingly endless possibilities for online learning. Although students can already access information online and learn in a less formal way, online materials that are specifically created for education provide engaging ways of integrating technology into the classroom and ideally peaking students’ interest to the extent that they are likely to revisit them in their spare time. In this way, students will adopt the habit of accessing and interacting with educational content from home, therefore accelerating their learning and setting them up for lifelong curiosity. Examples of such content include online games, for example the enjoyable and somewhat addictive Corporation Inc to teach various economic concepts and financial literacy, and Vicki Hollett’s One Minute English YouTube series to present grammar and vocabulary for learners of English as a second language in an engaging way. For upper school students, particularly the gifted and talented, content can be taken from MOOCs (Massive Online Open Courses) or the more user-friendly Coursera site, which runs free online University courses (many of which are introductory). The essential element here is selecting content that excites students and clearly explaining or showing how the content can be accessed from outside the classroom. Expecting students to become lifelong learners without providing a role model is, however, a more challenging task. For this reason, and many others, teachers need to continue their professional development throughout their careers and ensure that their students are constantly aware of it. For example, teachers could briefly tell their students about a professional development day when they return to school or show them a book they are reading. Even online courses which are unrelated to teachers’ specialisations could spark interest among students. As such, teachers need to be active in lifelong learning themselves and open with their students about their learning. In summary, available technologies and particularly internet access are gifts for educators in terms of encouraging lifelong learning. Teachers need to grasp such technologies and engage learners by integrating them into their lessons and encouraging follow-up after class, as well as sharing their personal learning experiences with their students. Barr, A., Gillard, J., Firth, V., Scrymgour, M., Welford, R., Lomax-Smith, J., . . . Constable, E. (2008). Melbourne Declaration on Educational Goals for Young Australians. Melbourne: Ministerial Council on Education, Employment, Training and Youth Affairs. Howell, J. (2012). Teaching with ICT: Digital Pedagogies for Collaboration and Creativity. Melbourne, Australia: Oxford University Press. This entry was posted in Adult learners, Motivation, Online teaching, Professional development, Uncategorized on 08/30/2016 by kirstindijon. I’m currently in the process of researching an essay on the ‘digital divide’, essentially looking at what different commentators believe that it is, whether it is widening or closing and what it’s implications might be for educators and school systems. Today’s post will reflect on the differences between the ‘haves’ and ‘have-nots’ of technology in an educational setting, and in doing so illuminate some of the issues surrounding the gap. A very basic concept of the digital gap is the difference in access to technology, specifically between lower and higher socioeconomic groups (Wilheim, Carmen & Reynolds cited in Eamon, 2004). In an Australian setting this was a significant issue in the early 2000s, with approximately one third of households lacking internet access, although this situation has improved somewhat with ninety-seven percent of households with children under fifteen having access (ABS, 2016). Despite this, various commentators argue that the digital divide has not gone away, but has rather become more complex in nature. McCollum (2011, p. 53) argues for a redefining of the digital divide, maintaining that the simple presence of computers in classrooms, (however dysfunctional), has not sufficed in closing the digital divide. He highlights that as opposed to being less digitally engaged than their more privileged peers, children from low-socioeconomic groups are more likely to game, network socially or access videos online. Furthermore, they are more likely to use smartphones to access online materials, using the same devices for homework tasks. Evidently, such children are disadvantaged in the non-educational quality of what they choose to access online and in the devices they use to access information that are ill-adapted to study. This evidence has several implications. An earlier understanding of the digital divide may have lent itself to the argument that poorer children would, on the contrary, benefit from limited exposure to technology. The fact that they have even more exposure to aspects of the internet which have arguably the least educational benefit, at the expense of more educational activities, highlights a serious disadvantage. Smartphone dependence, although fostering a type of digital competence, is unlikely to equip disadvantaged students to use computers in the way that they will be expected to in further education and in the world of work. For example, these students could struggle to undertake research which requires managing several documents at once, using referencing programs and word processing. More advanced IT skills, which youth surveys have shown as being perceived to be key to employment prospects, may also be limited (Eamon, 2004, p. 94). Failure to access online media can equally exclude students from low-socioeconomic groups from civic participation, leading to disadvantage in terms of political awareness and civic participation (p. 94). In this light, it is clear that the digital divide has not dissolved over the past few decades, but that it has changed its form. Current and future teachers, therefore, face a significant task in attempting to remedy the disadvantages perpetuated by these more recent findings. Eamon, M. K. (2004). Digital divide in computer access and use between poor and non-poor youth. Journal of Sociology & Social Welfare, 31(2), 91–113. McCollum, S. (2011). Getting Past the “digital divide.” The Education Digest, 77(2), 52–55. 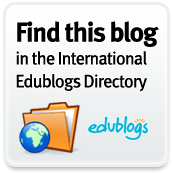 This entry was posted in Professional development, Reflective teaching, Tech tools, Uncategorized on 08/23/2016 by kirstindijon. It’s now my second and final semester of my Graduate Diploma of Secondary Education at Curtin University and I’ve been given the opportunity to blog as part of my online paper entitled ‘Technologies to Engage Learners’. This is great news for my blog, as it is guaranteed to have updates throughout the semester. It’s also exactly the motivation that I need to put some regularity into reflection on my learning and teaching through my blog, and hopefully I will get some momentum to make this regular throughout my secondary teaching career. In this way, I hope to become a reflective teacher, (as discussed in a previous post on that topic). So, without further ado, what is a digital world and what does that mean for education now and throughout the rest of my career? The first point here is that technology has become an integral part of many aspects of our lives and the lives of younger generations to an even greater extent. Admittedly, as I’m writing this, my toddler is in front of me dancing to the music of the Wiggles that he is watching on the Ipad, which seems to have become his own. Howell (2012) highlights the way in which the digital world has penetrated young people’s private, social and work lives, (the issue of the ‘digital divide’ meaning that this digital access is not universal will be examined in my next post). She refers to today’s learners as digital natives (Prensky as cited in Howell 2012) having been exposed to technology from a very young age, explaining that such upbringings leave young people digitally expectant. When it is no longer unusual for two-year-olds to use basic functions of touch screens, it becomes evident that we have a generation who will not remember having learnt how to use this technology. It will, therefore, be as natural for them to use such technology as it is to use a spoon. In their tweens and teens, this generation is constantly online: browsing, chatting and social networking, downloading and streaming music and movies (ABS, 2011). With increased accessibility to internet via mobile phones, apps for anything you can think of and the increased sophistication of augmented reality facilitating games such as Pokemon Go, technology will undoubtedly be increasingly coming into classrooms rather than going away. The implications of these technologies on teaching will be examined in more detail in future posts, but the bottom line is that teachers are the ones that will need to adapt to the digital expectancy of their students if they have any hope of engaging them. Considering that the average age of Australian secondary teachers is 43.7 (ABS, 2011), the majority fall under Prensky’s definition of digital immigrants (as cited in Killen, 2013, p. 35), and may struggle with learning technologies without specific and ongoing training, as well as easily accessible tech support. Although some of these issues will eventually resolve themselves as younger digitally native teachers are trained and older generations retire, the issue of teachers’ digital illiteracy urgently needs to be dealt with in the interests of current secondary students to keep older teachers’ classes relevant. Killen, R. (2013). Effective Teaching Strategies: Lessons from Research and Practice (6th ed.). Melbourne: Cengage Learning Australia. This entry was posted in Reflective teaching, Teaching methodology, Tech tools, Uncategorized on 08/14/2016 by kirstindijon. For one part of my secondary English teaching course I decided to create my first prezi to bring together the ideas from the course readings. This entry was posted in Teaching methodology, Uncategorized on 04/24/2016 by kirstindijon. I think I’m not the only teacher who often feels that I’m not creative. Although I enjoy doodling for my own eyes, I cringe at the thought of being asked to do something “creative”. My first thought is “I’m never going to come up with any ideas”, followed by “whoever is assessing this is going to find out how uncreative I am and I’m going to fail”. I suppose I’m imagining that I’m expected to produce something like a professional novelist or artist might. These thoughts have meant that, with very few exceptions, I’ve been able to avoid creative tasks since the beginning of high school. In turn, this avoidance has meant that I haven’t had any real opportunity to hone my creative skills. One of the readings this week for my English unit for my Graduate Diploma in Education, Teaching English Creatively by Teresa Cremin (2009), struck a real chord with me. It talks about “little creativity” being something that everyone can express on a daily basis, rather than the kind of creativity you would expect from a grande artiste. As opposed to accepting everything as it is presented, teachers can model and encourage asking creative questions, making original connections between ideas and interpreting or using materials in novel ways. I’m feeling a bit more inspired about jazzing up my lesson plans, but might just need a bit more inspiration to help me tackle my upcoming creative writing assignment for my online paper. Wish me luck! This entry was posted in Uncategorized on 03/22/2016 by kirstindijon. When I did my CELTA four years ago there was some focus on reflective teaching and the numerous workshops I attended with TESOL France reiterated its importance. Essentially teachers need to figure out what went well and why, so that they can improve on different points in future lessons. Admittedly, although I would reflect throughout my CELTA course and after lessons that had been observed, writing a reflective journal after each lesson hasn’t been one of my priorities in my teaching career up to now. Being a social creature, (as all the teachers I know are), it is always a real pleasure for me to have a chat with my colleagues about how my lessons are going. I think this is quite helpful for me, but there are definitely a couple of problems with this being the only kind of real reflection going on. Firstly, I’m not sure if this provides the kind of deep and systematic reflection that is necessary to change my teaching in any radical way. Secondly, the fact that I haven’t been putting my thoughts on paper makes it impossible to track my progress from week to week and compare lessons over time. Both making changes and keeping track will be really important to polish everything up before my teaching pracs this year. Beginning this week, I’m going to make a point of finding five to ten minutes at the end of each day to squeeze in some meaningful, written reflection. Hopefully this way I might just pick up on a few things that need fine-tuning, (as well as the ones I already know about). I think a journal will be the way to go, (some things I might not yet be ready to share with the big wide web), but I’m also committed to reviving my blog and consolidating some of my thoughts this way. I’ve seen the error of my ways and am on the road to being the deeply reflective teacher that I aspire to be! This entry was posted in Professional development, Reflective teaching, Uncategorized on 01/24/2016 by kirstindijon. Unlike the 17 year-old me who started university eight years ago, this time around I have a lot more motivation, as well as some pretty effective study and time management techniques. In my spare time over the last few weeks I’ve had my head stuck in one of the the course textbooks, (Killen, 2013, Effective Teaching Strategies: Lessons from Research and Practice), for the professional practice paper starting late next month. It led me onto another surprisingly interesting book by Willis (2006) which focuses on how teaching can be made more effective in order to help students retain information and explains in basic terms how brains operate. Essentially, learners need to be ready to learn, (have had enough sleep, aren’t stressed and have their interest piqued), before teachers even try to teach them anything. Then it’s essential to present information in a variety of ways to engage as many of their senses as possible. Ideally students will also be able to interact with new information on personal and meaningful level so that they are more likely to retain it in their long-term memories. Willis also emphasizes the importance of repetition and the importance of taking syn-naps, (or brain breaks), to allow information to sink in. This week I’m going to make sure that my students are engaged at the beginning of each lesson, through a 5-minute game, a picture or a new seating arrangement. It’s also going to be important to keep my students’ concentration at a maximum by breaking up activities with short breaks, followed by some kind of consolidation activity. Although I am usually quite good at giving information both verbally and in written form, it’s going to be a challenge for me to use more images/symbols in my teaching and to encourage my students to do the same thing in their learning. It’s only Saturday, but I’m already looking forward to getting back to work on Monday to put some of these concepts into practice and see my (sometimes forgetful) students through a new lens. In the meantime I’ll get my head back into that book! This entry was posted in Professional development, Reflective teaching, Uncategorized on 01/23/2016 by kirstindijon.